Sleep paralysis is a relatively common condition that occurs when you drift out of sleep at night but find you cannot move your body or speak, which is obviously a terrifying prospect for some people. This paralysis is thought to occur because your body is not shifting through normal sleep cycles properly. Your muscles are actually deactivated while you are in certain stages of sleep, and if you suddenly wake up before the cycle has ended, then you will feel paralyzed. Fortunately, there are ways to prevent this from happening. Here are some of the most common sleep paralysis treatments used today. The first and most common treatment for sleep paralysis is to change any lifestyle habits that could be causing problems during the night. These changes usually involve avoiding alcohol or caffeine, not eating before bed, and removing distractions in the bedroom. Additionally, getting more exercise, quitting smoking and eating better during the day may also improve the condition. The right set of habits will allow you to get to sleep quickly and to stay asleep instead of waking up suddenly and feeling paralyzed. 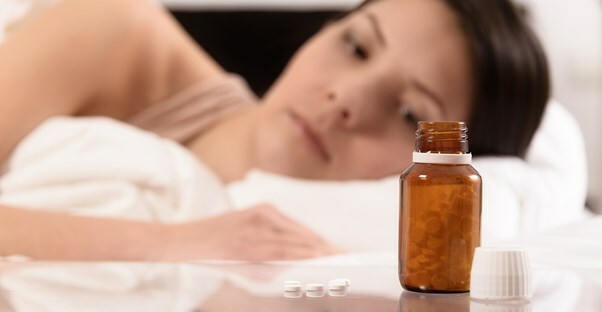 If lifestyle changes do not help with sleep paralysis, then the next option is treatment with medications. Certain chemicals in your brain, such as serotonin, help to regulate your sleep patterns. Imbalances of these chemicals can disrupt your normal cycle and force you to become awake and aware during a time when you cannot directly control your muscles. Thankfully, doctors can prescribe antidepressant medications to help balance the chemicals in your brain. In certain cases, these can completely stop recurring sleep paralysis when taken regularly in the right dosages. There are times when sleep paralysis is just a symptom or inadvertent side effect of another existing medical condition. This means your sleep paralysis cannot be treated directly. Instead, You need to go through treatment for the underlying medical condition first. Narcolepsy, which causes the uncontrollable urge to sleep, can trigger sleep paralysis because of the altered sleep cycles you experience. Additionally, a problem such as chronic leg cramps at night can bring you into the state where sleep paralysis occurs. Treating any underlying conditions should cause the sleep paralysis to go away. Finally, sleep paralysis may be a result of psychological issues that need to be addressed. A range of problems, including chronic depression, anxiety, and post traumatic stress disorder can potentially affect how you sleep at night. If these issues are left untreated, then your body will not move between the stages of sleep properly. Thankfully, therapy is a productive way to deal with them. Several therapy sessions with a professional can help to relieve some of the psychological stress causing the sleep disruptions. The therapy might also include targeted medications to help treat specific disorders.